Happy Saturday lovely readers! As a Pisces, my birthstone is the aquamarine, and we all know how much I love a good statement necklace. So naturally when I saw this bold aquamarine statement necklace by DressV, I had to get it to go with my new cozy H&M sweater! As winter creeps closer, it unfailingly brings sweater weather with it. And what better way to class up any sweater than with a shiny statement necklace? I love this one in particular because it’s big and bold enough to make a statement, while being subtle enough to be wearable in any situation – at work, at brunch, or with an evening dress at a holiday party! The product was sent to me quickly and I had no problems with the shipping, which is a plus when online shopping. 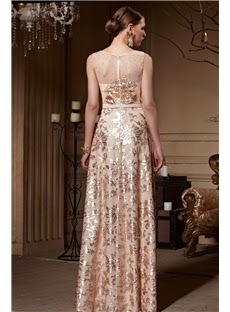 I love their women’s evening dresses because each of them are glamorous and feminine. Maybe one day I’ll get one for a winter ball or birthday! I also think it’s great how you can get an evening dress, jewelry, and handbags all in one place.